In this book we document how over several decades a failure by The Democratic Party to fully deliver policies that would halt rising economic inequality, was reinforced by a growing inability to communicate these policies among key communities. Within a context of mainstream media bias and Republican communicative strength, we show how Democrats’ own failures allowed the rising perception of their elitism and ‘distance’ from working class America. In 2016 Donald Trump exploited this skilfully, harnessing new media and right-wing populism to seize the presidency and expose a divided America. We illustrate the major communication failures that led to The Democrats’ loss in 2016, failures that they need to address if they are to build a unifying identity and effectively communicate progressive economic policies to working class and middle class American voters. Analysis of key areas of debate during the elections from 2000 until 2017 using content analysis; Audience research; Interviews from the 2016 Democratic campaign including with leading politicians, campaign officials and grassroots activists. Emma Louise Briant (2015) ‘Propaganda and Counter-terrorism: Strategies for Global Change‘ Manchester: Manchester University Press. 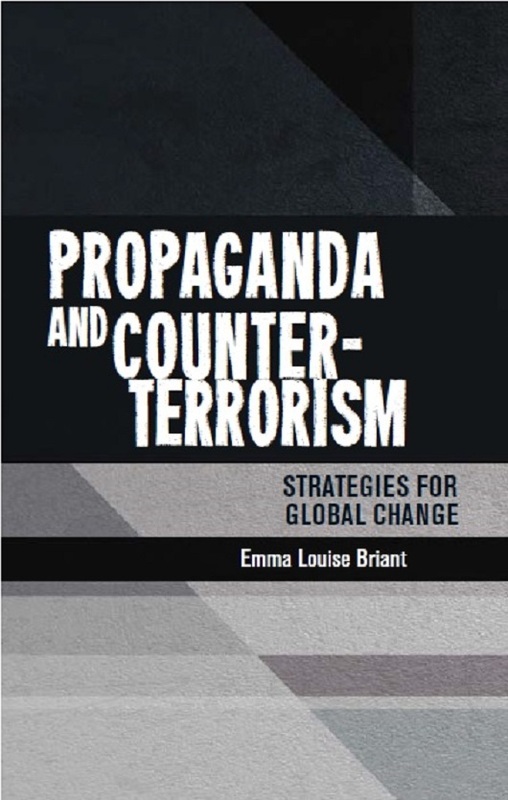 A unique account of how the British and United States Governments attempted to adapt their propaganda strategies for counter-terrorism in a post-9/11 global media environment is revealed in a new book by Dr Emma Briant. The book interrogates the structural and cultural development of the propaganda apparatus in the two countries. It illuminates how, through Anglo-American coordination and domestic struggles, planners brought in far-reaching changes to propaganda, worked around barriers and restrictions, and redefined ‘legitimate’ propaganda function for the present day. The author highlights a compelling need for an independent and public reexamination of continuing strategy development – both for government accountability and to create systems and policies that both respect citizens and build constructive foreign relations. The book’s themes will engage a wide readership including scholars, PR professionals and government personnel. ORDER NOW & check out the Facebook Page! 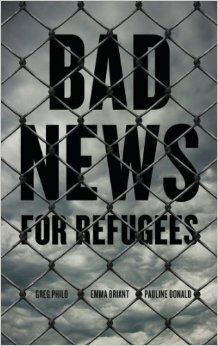 Greg Philo, Emma Louise Briant & Pauline Donald (2013) ‘Bad News for Refugees‘ London: Pluto Press. Bad News for Refugees analyses the political, economic and environmental contexts of migration and looks specifically at how refugees and asylum seekers have been stigmatised in political rhetoric and in media coverage. Through forensic research it shows how hysterical and inaccurate media accounts act to legitimise political action which can have terrible consequences both on the lives of refugees and also on established migrant communities.Based on new research by the renowned Glasgow Media Group, Bad News for Refugees is essential reading for those concerned with the negative effects of media on public understanding and for the safety of vulnerable groups and communities in our society.